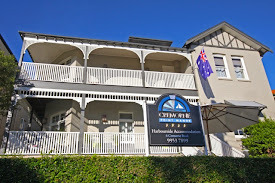 A Blog about a Boutique hotel on Sydney Harbour, the local area and the people involved in the hotel. We found a really unique event and its ideal for anyone who likes to eat! It’s a Sydney Wine-Dine speed event, and doesn’t focus so much on dating but hey – you never know what can happen by the time dessert schleps itself out the fridge. Get ready for the 3rd September where ‘girls are hosting’ and ‘guys are roaming’ for this dinner soiree. It’s a date you seriously don’t want to miss. Here’s the scoop: you’re a local wanting to meet new people, or travelling to Sydney and interested in seeing how the other half live…or are a nosey parker and love to check out other people’s culinary skills. Then this is the event for you! Each group of three friends (3 guys, 3 gals etc) sign up for $50 each on the site. On the 3rd September, three gals will host a three course meal. Three guys will show up for the 1st course, then potter off to the next three females home for the main course and finally skedaddle to the last three girls home for dessert. While they’re doing this, the gals in the first home that just served the testosterone infused appetizers will now be hosting another three guys for the main course, and a final three guys for dessert. The gals make the food, the guys bring the wine or spirits, the resident dog gets to eat the leftovers and the resident cat stares in judgment. Everyone’s a winner. The organizers plan the dinner courses by geographical location so guys aren’t traipsing one hour across town with a stomach still ready to be filled. The homes for each courses is around 15 minutes apart – we’re not sure if that’s by walking, car or Dreamliner. What may transpire is that a guy and gal are interested in each other during the first course, but now she’s entertaining (with her two BFF’s) the next round of food guests. So how can they reunite afterwards? Or maybe he meets someone else at dessert. The mind boggles on how this event can make new relationships and cause heart racing adrenaline. But with the organizers have come to the rescue: the after party is at Donny’s (Manly area) so all foodies can reunite and continue with the banter. How about you’re venturing into a new career path and hey-ho, one of the gals hosting is CEO of a fantastic software company you’d love to work at? These dinners could be game changers – in knowing more about your fellow locals, budding romances and introducing newcomers to the city. Remember to tweet Wine-Dine and Cremorne Point Manor how the evening’s taking you. And since the 3rd September falls on a Saturday, how about pampering yourselves after the shin dig with an overnight staycay at our Manor, only 20 minutes from Manly. The bonus ball: We’ll be doing the cooking for breakfast so make sure you book through our website for guaranteed, glorious morning nosh! We have often Sulphur Crested cockatoo's coming to visit, but this guy seems to take liberties with our welcome.